It’s the holiday season! For your entire life, this season most likely rolled around with some sense of routine and tradition. Those little rituals and memories are repeated year after year with a sort of reverence and love. They become meaningful and play a large part in making the holidays seem special. For example, perhaps your family always drives up into the mountains to chop down the perfect tree—Dad wants to find the perfect tree, Mom complains that it is way too big, your sister DJs Christmas tunes in the car on the way home and you end the night with hot chocolate and a Christmas movie in your jammies. And then, adulting happens. And at some point, this usually involves the addition of a spouse. How does this play into your family holiday plans? It can get tricky. If you come from a tradition-heavy family, the desire will be to keep things the same, but just share them with your spouse. This is where we go to get our Christmas tree! This is what we do on Christmas Eve! We always eat pastries and coffee before opening presents on Christmas morning! But here’s the catch: your spouse might/most likely has all of those same traditions, and they might be different from yours. The secret to not sacrificing any of your beloved family traditions as a newlywed is this: there is none. And as you start navigating the overwhelming urge to fight for your traditions, remember this: winning is not the goal. As you move into this new chapter of life, it’s important to approach the holidays with an attitude of compromise and love. Whatever you do, and no matter what tension is created by navigating discussions about holiday decisions, stay united as a team. If you are feeling pressure from your mom about Christmas dinner, don’t tell her that you’re spending Christmas dinner with your in-laws because it was your husband’s decision or wish. Instead, tell her that you both discussed options and decided that you would have dinner with his parents this year, and with her next year. Be a united team. If you’re both struggling with prioritizing traditions, make a list of the top 5 family traditions from pre-marriage life that are the most important to you. Then, share it with your spouse. Perhaps he puts Christmas dinner higher on the priority list, and you have Christmas Eve higher on yours. Problem solved! By forcing yourself to reflect on what your favorite holiday memories are, you can better decide how to proceed. Don’t forget that you and your spouse are a family unit now. Instead of getting caught in splitting up family time with your parents, take the time to make new traditions that are unique to you both. It could be small things like baking cookies, decorating your Christmas tree or opening presents on Christmas morning before seeing any family. Think of your shared values and be intentional about starting to building traditions that you have ownership over as a couple. So much of the holidays are about family time, but don’t let the desire to keep your family happy such a high priority that the holidays begin to feel like work. If you are stressed and don’t have the energy and time to put towards making new traditions as a couple, you need to cut back and regroup. Honor your family and make them a priority when appropriate, but realize that your new marriage requires nurturing, commitment and intentionality to flourish—and holiday traditions are a part of that. 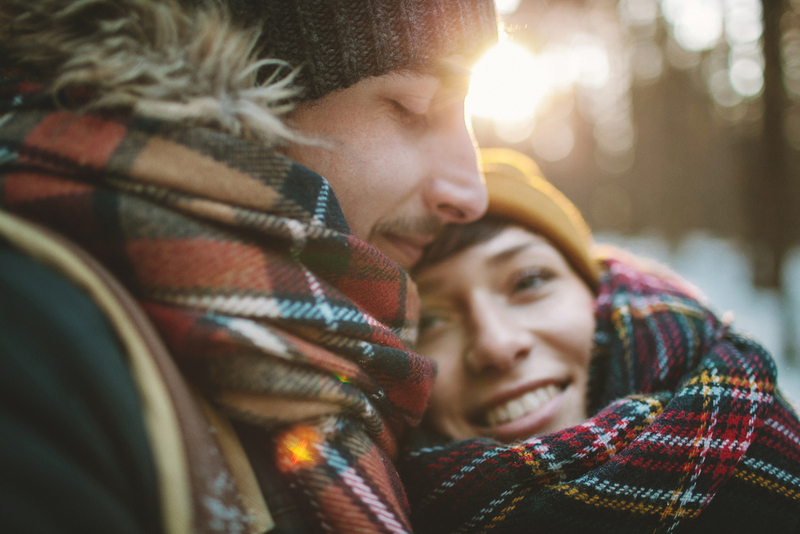 Most importantly, remember that your marriage is a celebration of love, the holiday season is a celebration of love—so let the traditions, new and old, be a reflection of that love.